Staff and students of the BGSU Dance Program proudly present the Winter Dance Concert Feb. 8 and 9. 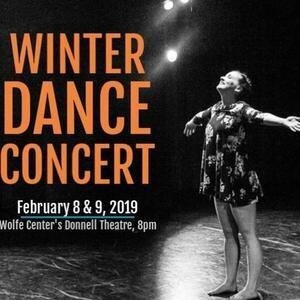 The concert features choreography by Dance Program faculty Kristi Faulkner, Colleen Murphy, Tammy Metz Starr and Tracy Wilson, as well as graduate student Adrienne Ansel and undergraduate Dance minor Alec Batton. Contact Colleen Murphy at cmurphy@bgsu.edu for additional information.